So you’ve had to make an auto insurance claim; that happens, and it’s not an uncommon occurrence. The fact of the matter is that if it weren’t for an abundance of claims, then insurance wouldn’t be an industry in the first place. Having claims is a normal part of life, and while you shouldn’t take the incident lightly, you can at least rest assured that everything will be taken care of so long as you have insurance. Once the initial reaction to having the claim subsides, the questions about your auto premiums getting blown up into the stratosphere may start to arise in your mind. So what can happen? Here are the details. You have to remember that an auto insurance company rates you on a specific scale and within a specific formula. Many companies do them differently and there are a lot of items that happen where a given company will tweak results in their own way. However, as long as you know that you are given a rate based upon your history, you already have the beginning part of what happens next. After an accident the auto insurance company will reevaluate your risk as a driver. The good news is that in some instances, your premium might not rise at all. Your driving record, coupled with state laws will limit the amount that the company can increase your rates. Oftentimes you will be able to find the state specific and policy specific accident surcharge grid included right in your policy information. It will tell you by how much your rates increase and also what happens if you hypothetically get into an additional accident as well. The thing to realize is that the information should be readily available to you. How long will the rate increase last? Short answer: anywhere between three to five years. Because your current insurance carrier will be limited in how much they can surcharge you after an accident, it might just be better to stay with them in the short run and ride out the claim for a few years. If you go get a quote on the open market, then you need to start fresh. So while you could be upset that your rates are increasing after an accident, you also have to remember that they could be jacked up even more if it weren’t for the cap that is in place. The reason that you should consider going to get quotes is based upon two separate items. First, you have to consider that you don’t know what your base rate should be. 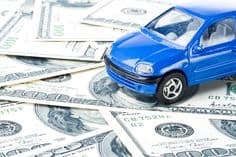 If you haven’t browsed for auto insurance quotes in a while, then you may already be overcharged for insurance, an additional increase due to an accident could end up putting you far above the real rate that you should be at. If you remember that an insurance quote results in no negative action, no hard credit hits, and is nothing more than an inquiry to get pricing information, then there really is no solid reason why you shouldn’t solicit quotes once an accident has registered. The good news about having a surcharge affect your policy once you’ve had an accident is that you already know to what extent it will increase your rates. You might be forced to ride it out or you might even be able to get quotes that are cheaper. Whatever the case ends up being, you will still only have to deal with the status for a few years and then you will get back to having a clean record – so long as you continue to drive carefully and don’t have any additional accidents.